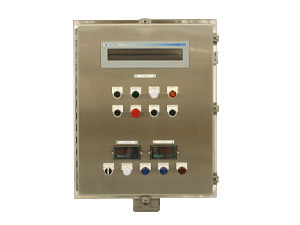 Burner Management Systems (BMS) ensure the safe operation of combustion equipment. They are designed to safely start, monitor, and shut down the combustion process. Our safety systems comply with NFPA, IRI, FM, or your own stringent requirements for single or multiple burners burning single or multiple liquid and gaseous fuels. What is a Burner Management System (BMS)? Burner Management Systems (BMS), also referred to by some as flame safeguard systems, ensure safe operation and control of combustion equipment. The BMS starts the burner in the proper sequence by purging the combustion chamber of gas, lighting the pilot, and opening the main gas or oil valves. During operation the BMS monitors the main burner flame and interrupts fuel flow if the flame is not detected. The BMS continually monitors burner operation when it is on-line, and goes into standby during down time. During every startup, the BMS will check for safe operating conditions. If any of these conditions are not met, the BMS will halt the startup sequence and alert the operator of the unsafe conditions. Simplify unit operation with annunciation, alarm notification, and operator help messages. Our customers have found that getting the burner management system directly from the manufacturer that makes the burner equipment saves time, trouble, and money. As a combustion equipment manufacturer, safety is our number one concern. No one knows more about the safety of controlling and sequencing a Faber Burner than we do. We can ensure compatibility with our burner equipment, and in the event of a problem, we’re here to help. Although Faber is willing and able to customize a BMS to the customer’s needs, we have worked hard to develop a robust set of systems that we are familiar with, have extensively tested, and support on a regular basis. We use only field-proven devices that have demonstrated reliability and user-friendliness, and keep our standard offerings in stock so that we can service your systems quickly and accurately.